The InterPlex chauffeur service aims to achieve the highest possible standards for all of its passengers. Licensed and permitted at the airports, we provide Meet and Greet service, flight monitoring, luggage assistance, and pickup from airport. Whether you are stepping out of John F Kennedy Intl Airport on business or you need to be dropped off at Orlando International Airport for a holiday, InterPlex will get you where you need with a high-quality airport transfer taxi service. InterPlex will assist you with everything from departures, arrivals and connections. 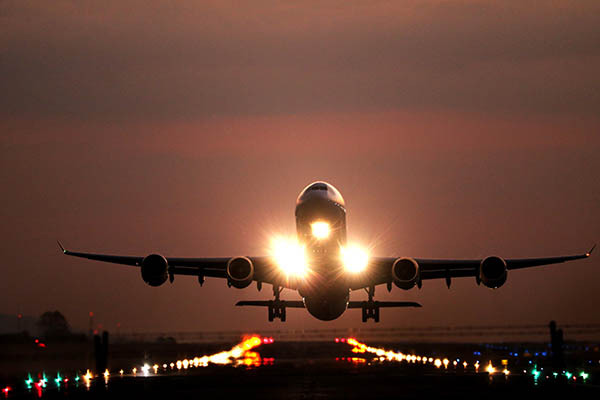 We will get you to your destination safely and on-time. Miami Intl Airport MIA is served by American Airlines, Delta Air Lines, United Airlines and over 80 other airlines. The major carriers that serve O'Hare International Airport are United Airlines, American Airlines and Spirit Airlines. Orlando International Airport is the second-busiest airport in the state of Florida, after Miami International Airport, and also the largest airport serving Central Florida. The Orlando metropolitan area is the most popular traveler destination in the country, with over 50 million vacationers and convention-goers every year. Among the airlines flying to Orlando International Airport, the largest by capacity are Southwest Airlines, Delta Airlines, JetBlue Airlines. Whatever airport you choose, we are the right service for you because InterPlex is committed to providing you with high level of customer care.